For immediate assistance, please look at the detailed topic descriptions below. To locate the product you need, browse our catalog or search for the items using Search Wizard. All search functions are safe. We worked on our content to make sure it is well presented, informative, and easy to search. Keyword search forms are located on top of every e-store page. For every catalogue item, there is an "Order Now" button on this item's product information page. This button adds the item to your shopping cart. You can put as many items as you want in your shopping cart. Putting something in your shopping cart does not commit you to buying it. After you put something in your cart, you can choose to place the order immediately and use the cart top navigation bar or continue shopping via "Continue Shopping" link to keep searching or browsing until your cart contains all the items you want to order. You can access the contents of your Shopping Cart at any time by clicking the Shopping Cart icon at the top of every page of our Web site. Software registration: buying software is different from buying electronic dictionaries because with software some products will be simply downloaded from our site through a special secure system, in which case you will be given activation keys, and will have to register your copy to be able to use it. and we will recommend a product which will satisfy your requirements. I have already bought the product, but I have lost my registration keys, what should I do? Look at your account information or write to us, and we will consider your case individually - we may either send you a new key or give you a discount. and we will give you a discount. Why is my registration key not working? The registration key is a special number which is issued for your software so that you could register it and start using the full version. You do need to register your software product in order for it to have all its features activated. For detailed information please click here. What is software ID? Software ID is a unique number assigned to each single software product - it identifies your particular copy and will be required for software registration and for technical support-related issues. For more information please click here. How do I find software ID? 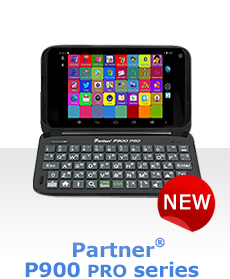 To find your software ID for Palm OS, Pocket PC and Windows software, click here for detailed explanation. How do I register the evaluation copy? To register your evaluation copy, you will need to complete an online registration procedure. To follow it step-by-step please click here for detailed instructions. The checkout area is secure. This is where you actually purchase the items you had put into your Shopping Cart. The Billing & Shipping Information page and all checkout pages thereafter are set to a secure mode. Take a moment to review the items you've placed into your Shopping Cart. If you decide that you don't want to purchase a particular item right away, click the "Remove" link next to the "Amount". The item will be removed from your current "Shopping Cart" list. When you're ready to place an order for everything in the "Shopping Cart", click the "Checkout now!" button. You will be taken to the first page of the order form. Placing an order at ectaco.ca is easy. There is no need to create an account before you are ready to place your first order online. You can easily place and monitor all your orders by creating an account, which will let you view the detailed order history. As an online store, we use advanced electronic commerce solutions, to keep your online shopping experiences safe and enjoyable. We use THAWTE system providing SSL (Secure Sockets Layer) for secure online transactions and VeriSign, for security and payment services. If you already have an account, enter your e-mail address and password in the form below, then click the "Submit" button. o	You need an account to view your order status and history, to get registration keys and to download full versions of purchased software, to subscribe or unsubscribe to our news and press-releases. If you forgot your password and would like to retrieve it, we can help you get it by e-mail. All you need to do is follow this link. When you establish your Ectaco account, your account will automatically indicate that you want to receive news on our product releases, services and events. In addition, it will automatically indicate that you would like to be notified of our special offers and product promotions. If you do not wish to receive these materials, please choose appropriate options. To change your notification preference, simply uncheck the box next to the line that says "Send me ectaco.ca news". It can be same as your billing address or an alternate address where you want your items delivered. Note that you must fill out all required fields on your order form. If you wish to have your order shipped to an address other than your billing address, the shipping address must be verified. Our sales representatives will contact you and confirm the time and address for your order delivery. Please note that Ectaco orders have no signature release and therefore can't be left at the address without an authorized person signing for merchandise receipt. For fraud prevention it helps to inform the credit card issuer (phone numbers located on the back of your card or on your monthly statement) that you would like to add an authorized alternative shipping address to your account. The information will remain on their file for your future orders. If you are a registered user, and your e-mail/address has changed, here's how to update your information. Click on "Your account" at the top of our Home page. Sign in if you haven't already done so. Scroll to the bottom of the page and select "Account settings". On "Account Settings" page, select the appropriate link (name, address or e-mail) and make the necessary changes. Click "Update profile". For security reasons, you will be asked for your password before you can change any information. We must have your correct billing address to verify it with your card company. This is the address where they send your monthly statement. If any information you provide is incorrect, it will delay your order and additional processing charges may apply. We will contact you via email if there are any problems. Please understand that this is a credit card processing regulation, designed to insure online security and required by all credit card issuers. Please indicate your billing address in this form. Note that you must fill in all of the required fields. We require correct billing address information for credit card verification only. No mail will ever be sent to the billing address. T he billing address protects your credit card from fraudulent use. Shipping method will depend on how quickly you need your merchandise delivered to you. We will estimate shipment and delivery dates for you on the order form and in the order confirmation e-mail which you will receive after placing your order. The easiest and most convenient way to pay is by credit or debit card. All your credit/debit card information is securely transferred to our server. We accept American Express, MasterCard/EuroCard, Discover and Visa. If you're paying with a credit/debit card, enter the card number without spaces or dashes. If you order a handheld dictionary, no charges will be made to your account until we obtain order confirmation from you. If you're buying downloadable software, we'll debit your account and provide you with the registration key for the software download. If you prefer a payment method other than credit card, you can check a Call salesman option when you fill in the order form, and Ectaco sales executive will contact you to discuss an alternative way of payment. All orders must be prepaid. After we receive funds, your order will be shipped to you (or, for software purchases, a registration key for software download will be sent by e-mail). When you have entered all the necessary information, click "Here" button at the bottom of page. You order summary will be displayed and the order will be confirmed by an e-mail message to the address you've specified. When you shop at Ectaco.ca, your shopping is safe. We guarantee it. Our secure server software uses state-of-the-art commercial security features. All of your personal and financial information including credit card number, name and address are protected by Secure Socket Layer (SSL) protocol. This protocol encrypts your information and converts it into bits of code that are securely transmitted over the Internet. We only collect the information we need to provide the specific service that you've requested. We never share, trade or sell e-mail addresses to anyone. Your name, address, phone number, e-mail and credit card information are necessary for getting your orders to you promptly. You can place an order here with complete confidence. We stand behind every item we sell. For greater security of credit card transactions, no charges will be made to your account until we obtain a confirmation of the order from you. If you are still reluctant to use your credit card on the Internet, we provide other payment options. You can select Call Salesman on the order form and talk/write to our sales executive and agree on the payment option that suits you best. Please note that payment remittance to the bank typically delays your order by several days, since we neither ship the items nor provide access to our downloadable software until your funds clear. Finally, we provide a standard manufacturer's 1 year warranty on all our products. You can return items purchased from us within 7 days from the date of receipt. Returned items must be in their original packaging and not show any sign of use. Return shipments are made at customer's expense. All returned items are subject to a 6.5% restocking fee. www.ectaco.ca is currently unable to accept returns of opened items or merchandise without original packaging and accessories, or items returned later than 7 days after delivery. Shopping at www.ectaco.ca is safe. Our secure server software uses state-of-the-art commercial security measures. All of your personal and financial information is protected by Secure Socket Layer (SSL) protocol. This protocol encrypts your information and converts it into bits of code that are securely transmitted over the Internet. The encryption ensures that your credit card number and personal information are never sent over the Internet unencrypted. Once it is encrypted, no one except the credit card authorization companies can decrypt it. Also, your personal information, such as your address, e-mail and billing information are stored in a secure server within the data center. Only those with proper authorization can view this data. We guarantee it. Per-session cookies do not extract any information from your computer and we are not tracking any demographic information regarding our customers except what they are willing to provide. To provide additional security for the credit card transactions, no charges will be made to your account until we obtain order confirmation from you. We have created this site for your convenience and hope you enjoy the shopping. Please be sure to read the small print and get familiar with Terms and Conditions for using this site. For Terms and Conditions, please click here. Ectaco warrants to the end user that its products will be free of defects in material and craftsmanship for a period of ONE YEAR from the date of original retail purchase, as evidenced by a sales receipt. If any defect occurs, the user must return the product either to the dealer or directly to one of the Ectaco offices. Ectaco will, at its discretion, repair or replace the product at no charge. To see full text, please click here. Ectaco features electronic gift certificates. They make nice gifts, and give you freedom to choose the product you really want to purchase. Gift certificates come in a variety of nominations. Make an easy online purchase - buy a gift certificate or use one to pay for your purchase. Make money by becoming our Partner! You can choose to put a link to Ectaco site or get our special dealer's materials. Make money every time a customer, who came to us from your site buys something from us. We have several programs designed for different dealer profiles. To get detailed information on our dealer programs, please click here. Are you having a problem with our product? In this section you can find various FAQ's, manuals, troubleshooting info. Send your question to our support service if you haven't found answers here.